What is the Clean Rivers Program? 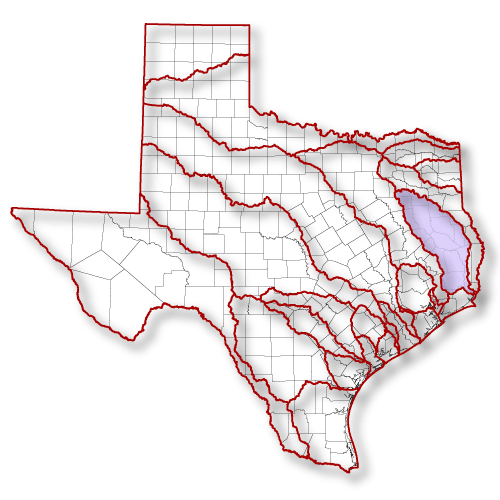 The Texas Clean Rivers Act of 1991 was enacted by the Texas State Legislature to ensure the comprehensive regional assessment of water quality in each river basin. As a partner in the Texas Clean Rivers Program (CRP), the Angelina & Neches River Authority is the lead agency for regional water quality assessments in the Upper Neches River Basin Study Area. The CRP is funded through fees from wastewater discharge permits and water rights permits. A steering committee with representatives from government, industry, and public interests throughout the basin provide guidance and policy at regular meetings. These meetings also provide a forum for citizens to participate with ideas and express any concerns involving water quality issues. Why have a Clean Rivers Program? The goal of the Clean Rivers Program is to maintain and improve the quality of water resources within each river basin in Texas through an ongoing partnership involving the Texas Commission on Environmental Quality (TCEQ), other agencies, river authorities, regional entities, local governments, industries and citizens. The program will use a watershed management approach to identify and evaluate water quality issues, establish priorities for corrective action, and work to implement those actions. 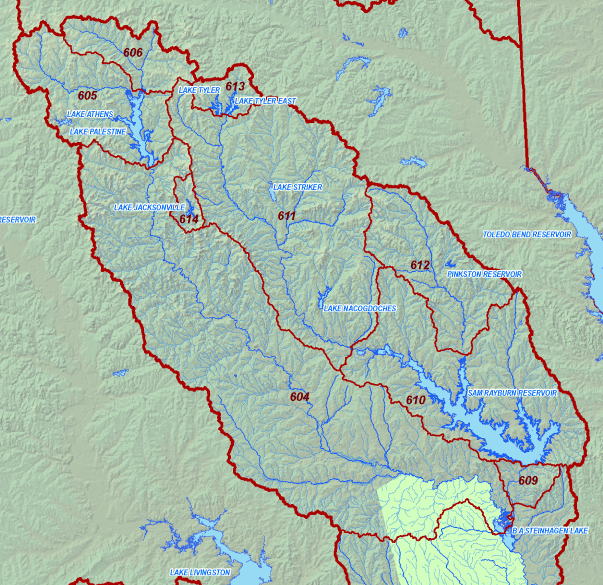 Where is the Upper Neches River Basin? 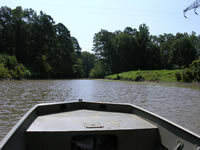 The basin originates in southwest Van Zandt county and extends southeasterly through the Piney Woods of East Texas to the confluence of the Angelina and Neches Rivers. 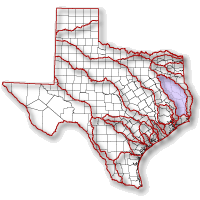 The Upper Neches River Basin is primarily located within the South Central Plains ecoregion and encompasses approximately 7,451 square miles. It is approximately 150 miles in length with an average width of 65 miles. 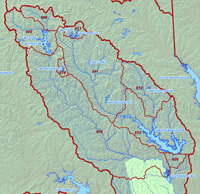 The Upper Neches River Basin Study Area for the Clean Rivers Program includes nine classified river segments (0604, 0605, 0606, 0610, 0611, 0612, 0613, 0614, 0615).